Twist & Turn is in motion with Star Plus Yeh Hai Mohabbatein, viewers take extraordinary enjoyable moments, Star Plus Yeh Hai Mohabbatein current track shows that Raman (Karan Patel) has quit his job due to office tensions and he is worried as Rinky's wedding is on the card. 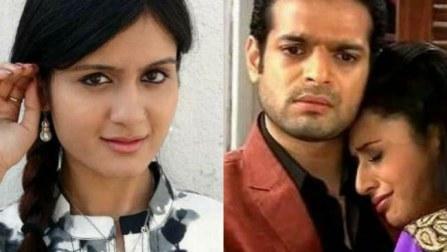 Raman dips in emotions when Raman knows that his sister Rinky wanted a blissful wedding at Jodhpur palace. Ishita (Divyanka Tripathi) comforts him not to worry and they will work out something. An emotional seen create in Yeh Hai Mohabbatein, Raman being anxious because his financial condition isn’t good right now, Rinki finds out about her brother's financial problem and tells him that she will prefer a simple wedding. Poignant observe began when Raman and Rinki share an emotional moment, viewers will also blubber to see this emotional seen, on the other hand, Shagun (Anita Hassanandani) is informed about Rinki's engagement ceremony. She feels bad that she was not informed about this news.